Story Behind This Painting: Day twenty three of the 30-in-30 challenge. I was now close to the end of the challenge and was searching for new subjects for my paintings. I relied on the alliteration theme to come up with the objects for this painting. 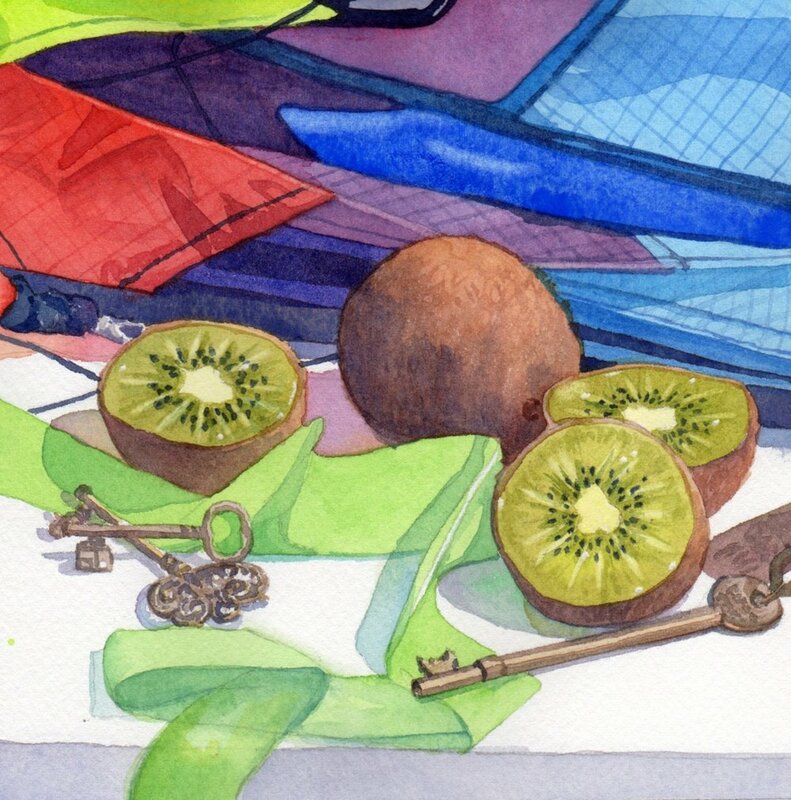 I chose to use the kiwi and then came up with a kite and keys to add to the scene.